An elderly farmer and his wife have been murdered in the Vrede district, Free State police said on Tuesday. Superintendent Motarafi Ntepe said a shepherd looking for a lost cow found the body of Jacobus van Tonder in his bakkie at 5pm on Monday. The vehicle had been abandoned in the veld. The shepherd could only notify police of the finding on Tuesday morning. When police arrived at the farmer's home on the farm, Merino, they found Van Tonder's wife, Charlotte, dead in the kitchen. "The incident could have happened over the weekend," Ntepe said. The exact cause of their deaths was unknown. Family and friends of murdered Boston woman Jacqueline Chatterton, 46, said they were "relieved" and "impressed" when KwaZulu-Natal Judge President Vuka Tshabalala sentenced the second of her killers to life imprisonment in the Pietermaritzburg High Court on Tuesday. Chatterton was stabbed to death on October 31 last year in what Tshabalala described as "the most savage and brutal killing one can think of". He said an aggravating feature of the case was its racial connotation and that farm killings gave South Africa a bad name. 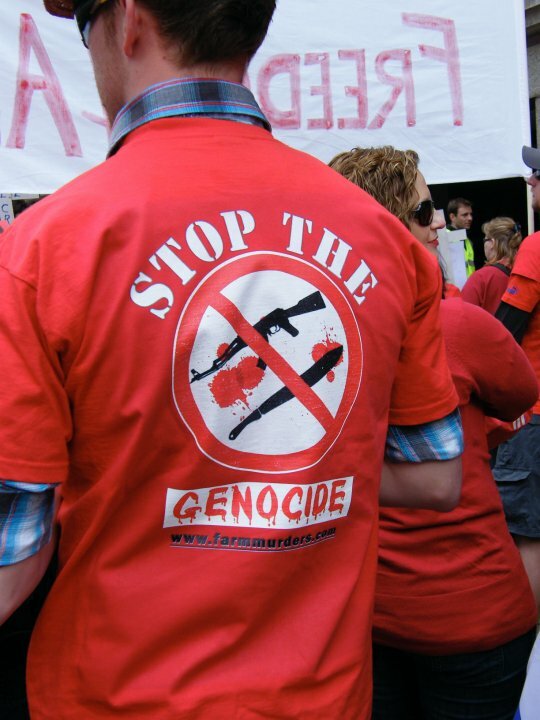 "When I was in New Zealand I saw a television clip showing farm killings in the Richmond area. White people in New Zealand think that the people in South Africa are brutal people who kill farmers. "This is bad for the country and the economy. The farmers are there to produce the food we eat and rear cattle for meat... if they are killed this brings down the economy." Chatterton's sister-in-law, Jane Bruton, who attended the trial of Thuthukani Miya, 22, of Donnybrook, along with her sister and brother-in-law, Jill and James Domleo, who are also farmers, said farm attacks were "scary" and a daily fear in the farming community. Chatterton's husband, James, who had given emotional testimony earlier in the trial describing his fruitless race to get his severely injured wife to hospital, did not attend the sentencing. Her parents and sister had also felt unable to attend the trial, said Bruton. Tshabalala said Miya's accomplice - David Ndlovu, who was jailed for life after pleading guilty in another trial last week - was "lucky" not to have been killed by those who arrested him in Chatterton's house immediately after the stabbing. "In some situations he would have been killed by all those people who came there (when the alarm was raised). This shows we still have law in this country because they brought the man to justice for him to be tried and for the world to know that the courts pass judgments and sentences that are appropriate." Also in Pietermaritzburg on Tuesday, Judge Leona Theron sentenced two people to life terms and another to 25 years' imprisonment for the murder of policeman-turned-farmer Chris Moolman, 38, at Cedarville in southern KwaZulu-Natal on June 1 2004. Theron said although the court was obliged to take into account the youth of two of the accused, she was aware that some of the most heinous, violent and brutal offences were being committed by youthful offenders. Such offenders should not be allowed to hide behind their youth and claim leniency, she said. Nkosiphendule Ludidi, Bukhosibakhe Ntuli, both 18, and Andile Ludidi, 26, accosted Moolman's gardener after watching him leave the farm. They then ransacked the house taking items including a rifle, shotgun and ammunition and hid waiting for Moolman's return. When Moolman entered the kitchen he was shot dead with his own shotgun. Moolman's wife, Annalise, and his father, Kenneth, said after the sentencing they felt justice had prevailed. Cape Town - "How am I going to explain to my children that their granny has been murdered?" asked a grieving Grieta Rossouw on Tuesday. The distraught mother was speaking after finding the bloodied body of her mother-in-law Christalene Rossouw, 78, in the shower of her house in Saffron Street, Welgemoed. The peaceful suburb was shattered by the brutal murder on Tuesday, only a day after the body of another widow with a stab wound in her chest was found in her house in Piketberg. Margaret Engelbrecht, 74, was presumably overpowered outside her house after she took her dog for a walk, and was then dragged into the house, reported Carryn-Ann Nel. Die Burger learned that bricks were found on the scene of the Welgemoed murder. Rossouw might have been hit with them. Inspector Bernadine Steyn said the victim had several head wounds. Relatives said there was a suspicion she also might have been stabbed with a sharp object, possibly a screwdriver. Rossouw was a much-loved, sprightly woman who visited the gymnasium daily and ran for exercise. She also arranged flowers weekly for the Oude Welgemoed restaurant and for weddings. Her daughter-in-law, Grieta, went as usual about 08:45 to help Rossouw with the flowers for the restaurant. "I nearly fainted from fright when I first saw her purse lying on the floor, and then saw that the kitchen table was overturned. It was the last thing I expected and I knew at once something was badly wrong," she said with tears in her eyes. She went to call Rossouw's neighbour and they found her body in the shower. She was fully clothed. Grieta said there were streaks of blood along the wall and in the dining room. As far as the family could determine, nothing had been stolen except for a few rands from Rossouw's purse. Rossouw had been overpowered in her house before, three years ago. She was the plaintiff in a criminal case in which only one of her previous attackers was appearing. Another suspect is still on the loose. A police officer said he did not think the two attacks were related. Rossouw's son, Johan, has appealed to President Thabo Mbeki to prevent similar attacks. "We seek as much security at our houses as he (Mbeki) has at his." "This house looks like a fort, but they still managed to murder an innocent woman for a few rands," he said angrily. His sister, Helene Visser of Stellenbosch, was inconsolable, with tears streaming. "Who has the right to do something like this? Does one have to march up to parliament and throw oneself down there before something gets done? I'm absolutely furious. We"re all furious." Hester Allison of the Oude Welgemoed restaurant said: "She was filled only with beauty - now our most-beautiful flower has been taken from us." Rossouw is survived by four children, a foster child and six grandchildren. Funeral arrangements have not yet been announced. At Piketberg, Engelbrecht"s attackers were presumably lying in wait at her house. Her son-in-law, Michael Stond, said the family were still in the dark about what exactly had happened. "My 19-year-old son found her body. She lived alone. Forensic tests are now being done," he said. A police officer said her cellphone was missing. "We suspect she knew the attackers, because her house wasn"t turned upside down nor were doors broken open," he said. CapeTalk radio station has arranged a silent protest march against the high crime levels in the Mother City. The march will begin at 11:00 on Thursday at the Good Hope centre and head for the town hall. Johannesburg - Three men were shot dead on Tuesday morning while trying to rob a house in Bertrams, Johannesburg, police said. Inspector Mosima Manganyi said the men, who had two firearms and a knife, entered the house at about 05:00. One of them waited outside with a gun, while the other two went upstairs. The owner of the house went out to his car and was approached by one of the men. "He screamed and his son came out with a firearm and fired at the suspect and he collapsed," said Manganyi. On hearing the gunshot, another robber came downstairs and started shooting in the son's direction. The son, whose age was not given, fired one shot in return and the robber was killed instantly. The third robber, who was armed with a knife, tried to hide under a bed but the son found him. "As he was trying to run for his life, he was shot twice in the head," said Manganyi. The men, aged between 25 and 30, died on the scene. Police confiscated two 9mm pistols and a knife.